Kate Middleton Pregnancy Rumors Persist – Duchess of Cambridge New Photos Hiding Baby Bump – Prepares Move To Sandringham? Kate Middleton and Prince William are trying to renovate every available apartment that they can get their hands on. We kid, they’re just trying to [publicly] renovate their Kensington Palace apartment, and [privately] trying to renovate Anmer Hall, the little mansion that exists on Queen Elizabeth‘s Sandringham estate. They’ve reportedly ripped out a £38,000 kitchen and added another couple hundred thousand pounds worth of landscaping. See, the Queen ended up giving Anmer to Kate and Will last year, and initially, everyone just thought it would be to inflate their real estate and provide them with a quaint vacation spot whenever they felt like taking a break from the hustle and bustle of London. However, with all the recent controversies surrounding Kate, not to mention their total lack of privacy at Kensington, we’re hearing that Kate and Will are considering a permanent move to Sandringham. Not only that, but we’re also hearing loud whispers that Kate’s either pregnant or planning to get pregnant in the near future with another child. She already has Prince George, and you know she’s under pressure to produce the spare as soon as possible. And you think she wants them to be raised in Kensington? Where the paparazzi prevent them from living a normal life, and the palace controls their every move? Plus, I have a feeling that both Will and Kate are only ‘staying’ in Kensington out of obligation. I doubt Will wants to live in the place that still echoes from Princess Diana‘s presence, not to mention the fact that the public has access to actual living quarters in Kensington. I mean, if we’re making an apples to apples comparison, Kenginton is actually MORE public than Buckingham Palace, and that’s disconcerting for two parents trying to raise their children in relative seclusion. Prince George is 1 years, and with another baby on the way, how will they avoid the paparazzi? George isn’t going to want to stay home all the time, and play dates and park trips will become inevitable as he enters his toddler years. There’s only so long that they can spend at Kensington without being outed by the paparazzi. 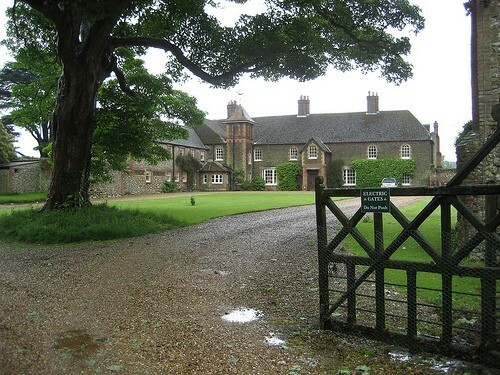 On the other hand, they have 100% privacy at Anmer Hall (below). All in all, I can’t blame them for wanting to move, not when they’re thinking of their children. Kate Middleton visits the Blessed Sacrament School on Boadicea Street in London, England on July 1, 2014. Kate is visiting the North London school as part of a project she launched last year that help families affected by addiction. 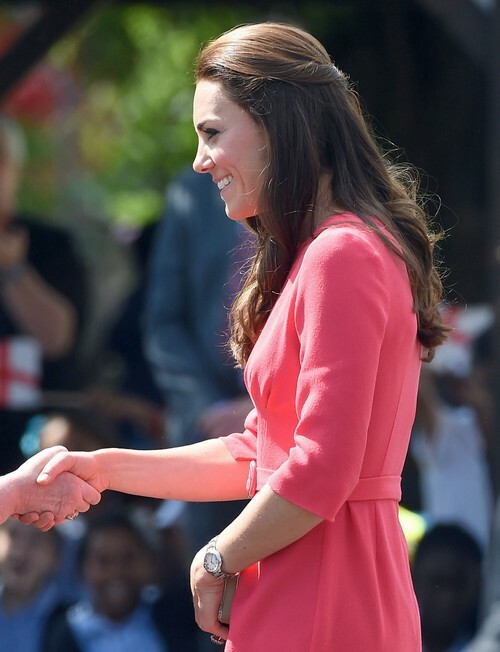 Kate Middleton Hides Second Pregnancy Health Concerns: Masks Baby Bump and Clears Schedule?